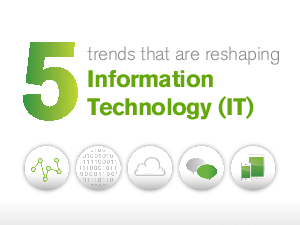 It’s a well-known fact that information technology is changing. People are using technology more than ever before. And as our users become more comfortable with technology at home, expectations about technology in the workplace are changing too. Download this paper to understand how five key trends are affecting business intelligence today, and how IT’s role needs to shift to meet the changing demands of its users.